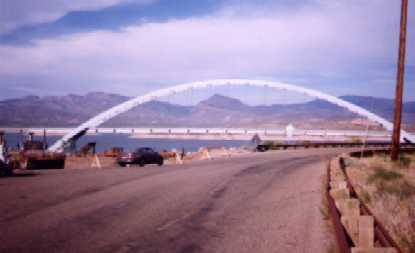 This, along with AZ 88, was formerly the only way from Phoenix to Payson. 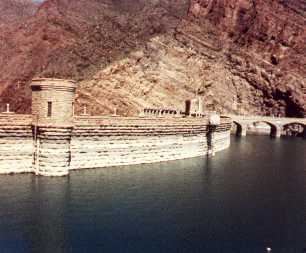 The original alignment of AZ 188 followed a narrow single-lane cut down the canyon wall to Roosevelt Dam, crossing the dam to the other side of the canyon. As part of the dam reconstruction project, this routing was replaced by a two-lane suspension bridge upstream of the dam. 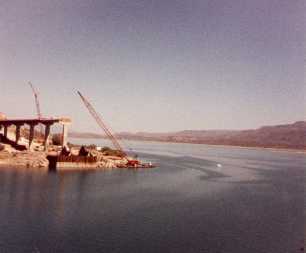 The old route across the dam, and the suspension bridge just as construction was starting. 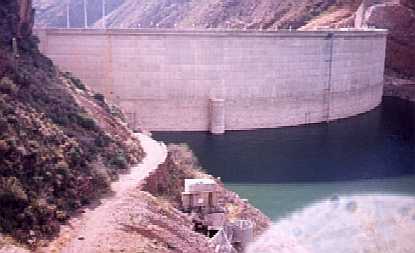 The rebuilt dam and finished bridge. The old picture was taken from the old road seen below. 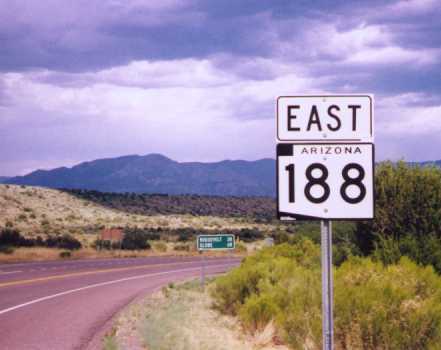 In 2000, AZ 188 was extended along AZ 88's old route to Globe. ADOT has a policy against two route numbers serving the same two points.